About Dr. Barry Lieberman, D.C., A.C.N. holistic doctor in Beverly Hills. who is extremely proficient with Nutrition Response Testing: a refined kinesiology method. As a holistic doctor in Los Angeles, he knows when you have multiple causes needing attention. Holistic means he looks at your condition in the context of your whole body, not just a regional symptom. Thay way you get the exact corrections you need for your own health concerns and lifestyle needs. He uses clinical nutrition/functional medicine, homeopatic medicines, healthy lifestyle choices and chiropractic adjustments that fit your lifestyle. He knows how to naturally, address important root causes such as: food sensitivities or environmental allergies, immune system challenges, toxicity, deficiencies, and other less-known challenges affecting the nerve supply to your entire body: organs, muscles, and tissues. , holistic chiropractic, kinesiology, muscle testing (although his muscle performance testing is not testing for your muscle strength), environmental medicine, allergy testing, ecological medicine, whole body healing, integrative immunotherapy, natural healing, naturopathic, homeopathic, or even herbal medicine (although for any individual, herbs or homeopathic remedies may not be used), and functional nutrition. He often uses whole food supplementation, including supplements from Standard Process® MediHerb and Apex Energetics as keys to creating your own personally designed holistic chiropractic and clinical nutrition / purification program. His unique holistic method will help you to unblock your healing potential, unblock your peak performance potential, and empower your lifestyle. 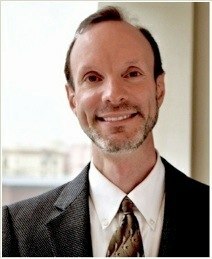 His mastery in natural functional medicine is due to his deep commitment to being the top holistic chiropractor in Beverly Hills and Los Angeles. "In Medicine, the symptom is treated as the problem. In Chiropractic, the symptom is just a clue to the real problem." In December of 1987, Dr. Lieberman, earned his doctorate from the Los Angeles College of Chiropractic, a division of the Southern California University of Health Sciences, which continues to have one of the finest chiropractic and alternative medicine curriculums in the world. He holds a Bachelor of Science degree in Human Biology and has done extensive postdoctoral study in applied clinical nutrition (ACN), and functional medicine. He is a member of the California Chiropractic Association. Dr. Barry Lieberman, D.C., ACN integrative chiropractor is truly gifted in the healing arts, an independent thinker and master clinician. His passion is educating his Beverly Hills and greater Los Angeles community about the true sources of health, wellness, ultimate performance and longevity. He uses proactive measures to help his patients reach their highest wellness, performance, and lifestyle goals, and is truly a great teacher of natural health empowerment. Public Speaking topics include alternative health systems, anti-aging medicine, natural functional medicine, lifestyle choices for optimum living, weight loss, and particular topics like digestion and chronic fatigue. Dr. Lieberman helps individuals by addressing root causes, not just symptoms. His patients experience lasting results and natural health empowerment within a satisfying, realistic time frame. You have to experience how Dr. Lieberman is just so incredible with his holistic method in Beverly Hills, Los Angeles. Follow his lead to empower your health and lifestyle.